The luxury SUV segment is packed with competitive models each offering a unique set of features to accommodate your lifestyle. Two of the most popular luxury SUVs for drivers in the Northbrook, IL, area are the 2019 Mercedes-Benz GLC SUV and 2019 Lexus NX. The product specialists at Autohaus on Edens in Northbrook, IL, have created the following comparison to help you determine which model meets all your requirements. If you’d prefer to speak directly to an expert, call our dealership at (847) 272-7900. For the purposes of this comparison, our experts have specifically examined the 2019 Mercedes-Benz GLC 300 SUV, starting at $40,700 MSRP, and the 2019 Lexus NX 300h, starting at $38,735 MSRP. Do you want your new SUV to provide potent power and handle like a sports car? The 2019 Mercedes-Benz GLC 300 SUV significantly out performs the Lexus in every area including horsepower and torque. When it comes to acceleration, the 2019 Mercedes-Benz GLC 300 SUV accelerates from 0-60 MPH nearly three seconds faster compared to the Lexus NX. Additional engine specs can be found in the table below. 273 lb.-ft. Torque 152 lb.-ft.
6.3 sec. 0-60 MPH 9.1 sec. Have you determined that the 2019 Mercedes-Benz GLC is the luxury SUV you want to accommodate your daily drive? 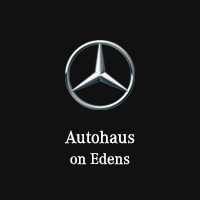 Autohaus on Edens in Northbrook, IL, boasts an impressive online showroom for you to browse. Once you’ve found a model you’re interested in, schedule a viewing appointment at our dealership by calling (847) 272-7900.